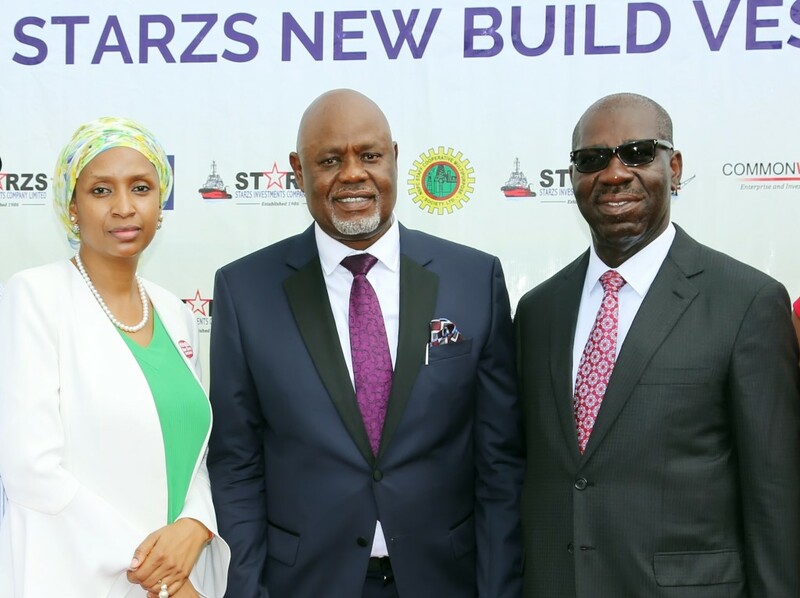 President of Ship Owners Association Nigeria (SOAN) and Chief Executive Officer of Starzs Investment Company Limited, Engr. Greg Ogbeifun has given insights on the tortuous journey to the delivery of MV Osanyamo few weeks ago. It would be recalled the vessel was commissioned by the Managing Director of Nigerian Ports Authority (NPA), Hadiza Bala Usman in Onne recently. In an interview, Ogbeifun recalled that “The story of Osanyamo dates as far back as 2009, when Total Exploration and Production came out with a call for tender”. He explained that in coming out with a call for tender, Total stipulated the tenure of the contract, which is five years and the generic specifications of the type of ship that they were looking for to perform certain functions and services. He said “All bidders went out, put on their thinking cap to design ships that they thought could meet the requirement of the specifications and that became the technical bid but I am not sure all the bidders actually had existing vessels. We were bidding against the multi nationals; the bidding process was long and extensive because ultimately, it had to be finally approved by the board of Nigerian National Petroleum Corporation (NNPC). “After the whole exercise which lasted about two years, we came out as the most commercially and technically qualified company and NNPC approved the contract finally in 2011. At that time, the Cabotage Vessel Financing Fund (CVFF) was much talked about, and the guidelines for the disbursement of the fund had been prepared by the Honourable Minister of Transport then and approved by the National Assembly as required by the act. Continuing, he recalled that “Four primary lending institutions were nominated and those of us who had projects to finance were all asked to put in our application through our own nominated bank. Applications went to NIMASA and it forwarded it to the bank we nominated amongst the four”. However, when all listed terms and conditions for accessing funds were met, several back and forth bureaucracies at government level engulfed the entire process leading to the collapse of getting statutory funding failed. According to him, “The banks did the credit analysis and all the checks about the project and made their recommendations. After several months of going forth and backwards and summiting documents, six companies were nominated as been eligible to access the fund and the six companies were sent to Abuja by NIMASA as required by law for the ministerial final assent and approval for disbursement. “Unfortunately, that was not to be because the minister then, instead of approving and disbursing as he had the legal right to do, take it to the Presidency and that was the end of the story up till now. It was particularly disappointing considering that ship owners contribute two percent of their earnings into that fund”. But to cut a long journey of frustration short, he added that “The major challenge was funding but with the support we received from First Bank, NCDMB and Total, we were able to construct the vessel”. He expressed displeasure over the failure of NIMASA in disbursing CVFF, revealing that “As at date, I know that Starzs Investment has contributed over $3million into CVFF fund since it was established. So naturally, one would have thought that it was an opportunity to get help to acquire additional tonnage, to employ more people, create training opportunities and add to the economy but that did not happen. The CVFF fund aggregated was to cost no more than eight to nine percent interest but when we lost that, we approached the commercial banks and after a further three years, finally got one of them to agree to finance the project. We were supposed to come with equity and this we had negotiated to build through the sinking fund which is okay with the bank but they needed a guarantor. The Nigerian Content Development Monitoring Board (NCDMB) after one year of running around, agreed to guarantee the equity portion of the funding. When delays continued due to non-availability of funds to start the construction of the vessel, we exceeded the time given for the provision of the asset to Total. Ogbeifun disclosed that “The vessel was supposed to have been built within 30 months of the contract awarded in 2011 but that could not happen because of the delay but we kept engaging Total and letting them know what is going on and eventually they gave us five percent of the contract value as an advance to assist with the funding”. “When the vessel was completed in December 2016, there was additional payment to make because of the variation in construction. At the time the contract was awarded, the design we used did not have the required Maritime Labour Convention (MLC) act which stipulate that the vessel accommodation has to be designed in a particular way because of labour law. So that caught up with us and that means we had to modify the design which led to additional cost and we are still looking for the money.